Probably one of the biggest surprises of the 2012 SDCC Tamashii Nations are showing off the whole new series of Dragon Ball Z figures including some of the most in demand characters out of the most popular Manga in the world. 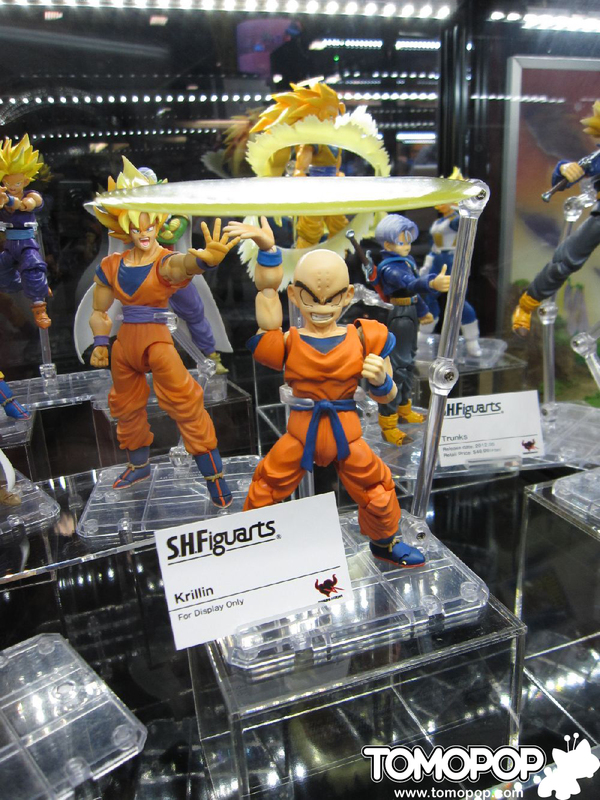 Tamashii announced a few weeks prior to SDCC that we would see the first public appearance of Cell but they have also brought some amazing new characters too including Krillin with Destructo Disc an epic sculpt of Freeza, Android 18 and a deluxe sized Nappa with Classic Vegeta. 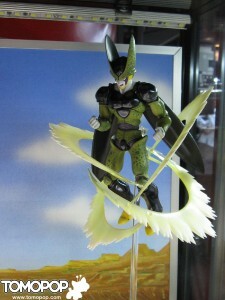 With Cell slated as a late 2012 release some of the other figures may be in line to be released throughout 2013. One thing to note is the price of these figures currently sits at about $90 each and even more for the Dragon Ball Z fans in Europe. Looking at this new line up of new figures the price is probably going come down. The new Gohan was a convention exclusive at $30. Nappa is also huge and it would be hard to imagine Tamashii Nations to expect fans to spend $100s on a secondary character. 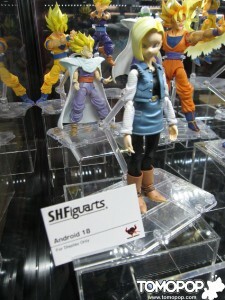 Other characters like Android 18 would also be under sold even at the current $90 price mark. 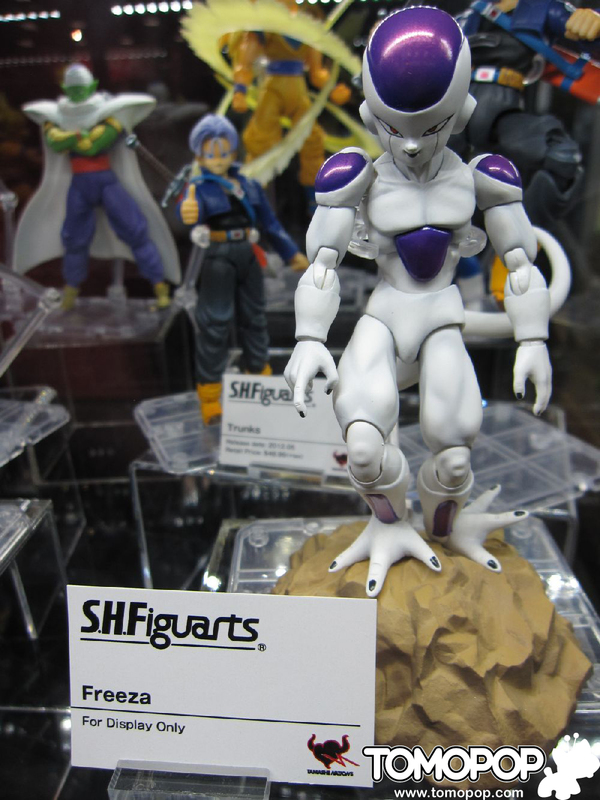 Even if the price doesn’t get reduced the new figures look like really smart and detailed sculpts accurate to both the manga and the anime. 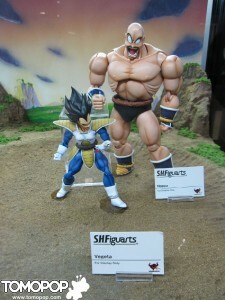 What’s Vegetas score out of 10 on these new figures? 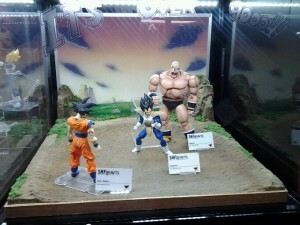 Thanks to tomopop.com for the pictures.